Ask Me Another: The Masters of the Internet This week's guests are no strangers to breaking news, though instead of making the headlines, this quartet makes them worth singing about. We test their wits in a game that's bound to go viral. The Gregory Brothers: Andrew Rose Gregory (left), Evan Gregory, Sarah Fullen-Gregory and Michael Gregory. This week, Ask Me Another welcomes meme-mixing masters The Gregory Brothers, comprised of actual brothers Evan, Andrew and Michael Gregory, and Evan's wife Sarah Fullen-Gregory. The group behind "Auto-Tune The News" and the "Bed Intruder Song" talk about their unexpected YouTube fame, their sincere musical backgrounds, and who among today's politicians and pundits makes the best unintentional singers. Then, it's brother against brother, against brother, against brother's wife, in a viral video trivia showdown so intense, we had to call in Nyan Cat and Keyboard Cat as judges. 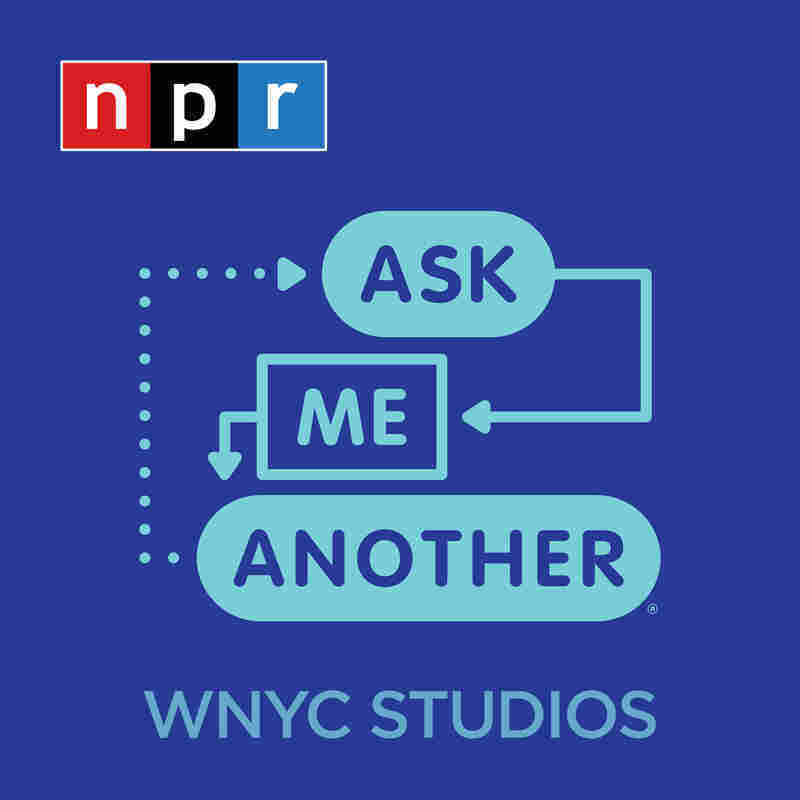 Plus, Ask Me Another host Ophira Eisenberg gets the auto-tune treatment, and one lucky winner receives a classic NPR quiz show prize with a twist: a personalized voice mail tag sung by the Gregory Brothers in the style of a barbershop quartet. The Gregory Brothers' unique musical stylings and comic rapport were largely formed when the brothers began making zany mix-tapes in their living room in Radford, Virginia as tiny babies. Thought sadly lost, these seminal works of musical comedy gently gestated for a few years until 2007, when the brothers joined forces with a bright-eyed lass from Texas. This musical collaboration with Evan's wife, Sarah, was forged in the fiery crucible of a 50-show summer tour stuck in an van without air-conditioning. These sweaty bonds shall never be broken. After the tour, they began making their wildly viral YouTube series, "Auto-Tune the News" in 2008. Their meager hope was that several dozen more people would bump their rumps to C-Span if it thumped with a bass line and a beat. Their hit "The Bed Intruder Song" was the first YouTube video to cross over onto the Billboard Hot 100. They have spoken at Google ZeitGeist, MacWorld, GEL and VidCon about how they combine music, technical savvy, and humor to reach millions. They've collaborated with T-Pain, Weezer, Joel Madden, Adidas, and yes — even NPR. They are also the proud winners of two Webby Awards and were recipients of one of the inaugural Comedy Awards. While they continue to work on making their YouTube jams, The Gregory Brothers now tour the country speaking at colleges, playing at rock and comedy clubs, and are in the process of making a pilot for Comedy Central. Watch a behind-the-scenes video of The Gregory Brothers talking about their process for the series, "Auto-Tune the News."